The immense untapped power of the sun may just be too tempting for some alien species. The risk out-weighed by payback. Recently one eagle eyed solar observer spotted just this situation occurring to our very own Sun in June when a Star Cruisers seemed to park impossible close to the burning turmoil of the Suns surface. 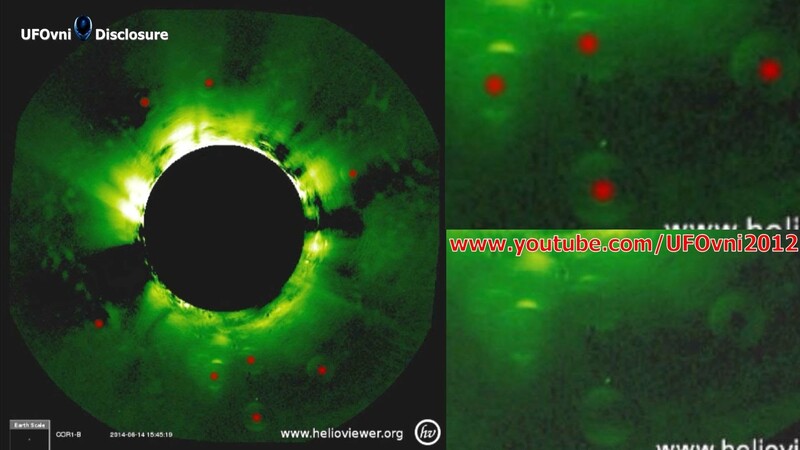 The footage was captured via Hilioviewer.org and appears to show an enormous spherical or donut shaped object parked in various locations around our solar systems power station. Many are wondering if this is a form of harvesting extreme amounts of energy in a short period of time. Or is this an intergalactic holiday by the beach? Presented for your viewing pleasure is the strange case of Star Cruisers caught on tape. The video that really makes you wonder what is going on with or sun. Sit back, relax and remember to never stare directly at the sun, it could be considered harassment. The Black Knight was again filmed by NASA.